Not to be confused with Disciple (Christianity). For the general concept meaning a messenger and ambassador, see Apostle. For other uses, see Apostle (disambiguation). "Twelve Apostles" redirects here. For other uses, see Twelve Apostles (disambiguation). The Last Supper, a late 1490s mural painting by Leonardo da Vinci, is a depiction of the last supper of Jesus and his twelve apostles on the eve of his Crucifixion. Santa Maria della Grazie, Milan. In Christian theology and ecclesiology, apostles (Greek: ἀπόστολος, translit. apóstolos, lit. 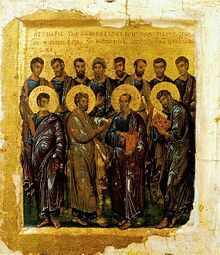 'one who is sent away'), particularly the Twelve Apostles (also known as the Twelve Disciples or simply the Twelve), were the primary disciples of Jesus. During the life and ministry of Jesus in the 1st century AD, the apostles were his closest followers and became the primary teachers of the gospel message of Jesus. In modern usage, missionaries under Pentecostal movements often refer to themselves as apostles, a practice which stems from the Latin equivalent of apostle, i.e. missio, the source of the English word missionary. For example, Saint Patrick (AD 373–463) was the "Apostle of Ireland", Saint Boniface (680–755) was the "Apostle to the Germans", Saint José de Anchieta (1534–1597) was the "Apostle of Brazil" and Saint Peter of Betancur (1626–1667) was the "Apostle of Guatemala". While Christian tradition often refers to the apostles as being twelve in number, different gospel writers give different names for the same individual, and apostles mentioned in one gospel are not mentioned in others. The commissioning of the Twelve Apostles during the ministry of Jesus is recorded in the Synoptic Gospels. After his resurrection, Jesus sent eleven of them (minus Judas Iscariot, who by then had died) by the Great Commission to spread his teachings to all nations. This event is commonly called the Dispersion of the Apostles. There is also an Eastern Christian tradition derived from the Gospel of Luke of there having been as many as 70 apostles during the time of Jesus' ministry. In early Christianity, Paul, is often referred to as an apostle, because he was directly taught and commissioned by a vision of Christ[Acts 9:4–5] during his journey to Damascus. The period of early Christianity during the lifetimes of the apostles is called the Apostolic Age. During the 1st century AD, the apostles established churches throughout the territories of the Roman Empire and, according to tradition, through the Middle East, Africa, and India. The word "apostle" comes from the Greek word ἀπόστολος (apóstolos), formed from the prefix ἀπό- (apó-, "from") and root στέλλω (stéllō, "I send", "I depart") and originally meaning "messenger, envoy". It has, however, a stronger sense than the word messenger, and is closer to a "delegate". The Greek-English Lexicon of the New Testament argues that its Christian use translated a Jewish position known in Hebrew as the sheliach (שליח). This ecclesiastical meaning of the word was later translated into Latin as missio, the source of the English "missionary". In the New Testament, the majority of the apostles have Hebrew names, although some have Greek names. Many Jews at the time had Latin or Greek names as well as Hebrew names. Mark 6:7–13 states that Jesus initially sent out these twelve in pairs (cf. Mt 10:5–42, Lk 9:1–6) to towns in Galilee. The text states that their initial instructions were to heal the sick and drive out demons. They are also instructed to "take nothing for their journey, except a staff only: no bread, no wallet, no money in their purse, but to wear sandals, and not put on two tunics", and that if any town rejects them they ought to shake the dust off their feet as they leave, a gesture which some scholars think was meant as a contemptuous threat (Miller 26). 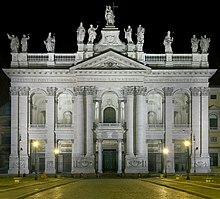 [full citation needed] Their carrying of just a staff (Matthew and Luke say not even a staff) is sometimes given as the reason for the use by Christian bishops of a staff of office in those denominations that believe they maintain an apostolic succession. Although not one of the apostles commissioned during the life of Jesus, Paul, a Jew named Saul of Tarsus, claimed a special commission from the risen Jesus and is considered "the apostle of the Gentiles",[Romans 11:13] for his missions to spread the gospel message after his conversion. In his writings, the epistles to Christian churches throughout the Levant, Paul did not restrict the term "apostle" to the Twelve, and often refers to his mentor Barnabas as an apostle. The restricted usage appears in the Revelation to John. By the 2nd century AD, association with the apostles was esteemed as an evidence of authority. Churches which are believed to have been founded by one of the apostles are known as apostolic sees. Paul's epistles were accepted as scripture, and two of the four canonical gospels were associated with apostles, as were other New Testament works. Various Christian texts, such as the Didache and the Apostolic Constitutions, were attributed to the apostles. Bishops traced their lines of succession back to individual apostles, who were said to have dispersed from Jerusalem and established churches across great territories. Christian bishops have traditionally claimed authority deriving, by apostolic succession, from the Twelve. Early Church Fathers who came to be associated with apostles, such as Pope Clement I with St. Peter, are referred to as the Apostolic Fathers. The Apostles' Creed, popular in the West, was said to have been composed by the apostles themselves. James Tissot, The Exhortation to the Apostles. The three Synoptic Gospels record the circumstances in which some of the disciples were recruited, Matthew only describing the recruitment of Simon, Andrew, James, and John. All three Synoptic Gospels state that these four were recruited fairly soon after Jesus returned from being tempted by the devil. Despite Jesus only briefly requesting that they join him, they are all described as immediately consenting, and abandoning their nets to do so. Traditionally the immediacy of their consent was viewed as an example of divine power, although this statement is not made in the text itself. The alternative and much more ordinary solution is that Jesus was simply friends with the individuals beforehand, as implied by the Gospel of John, which states that Peter (Simon) and Andrew were disciples of John the Baptist, and started following Jesus as soon as Jesus had been baptized. Albright and Mann extrapolate from Simon's and Andrew's abandonment of their nets that Matthew is emphasizing the importance of renunciation by converting to Christianity, since fishing was profitable, although required large start-up costs, and abandoning everything would have been an important sacrifice. Regardless, Simon and Andrew's abandonment of what were effectively their most important worldly possessions was taken as a model by later Christian ascetics. Matthew describes Jesus meeting James and John, also fishermen and brothers, very shortly after recruiting Simon and Andrew. Matthew and Mark identify James and John as sons of Zebedee. Luke adds to Matthew and Mark that James and John worked as a team with Simon and Andrew. Matthew states that at the time of the encounter, James and John were repairing their nets, but readily joined Jesus without hesitation. This parallels the accounts of Mark and Luke, but Matthew implies that the men have also abandoned their father (since he is present in the ship they abandon behind them), and Carter feels this should be interpreted to mean that Matthew's view of Jesus is one of a figure rejecting the traditional patriarchal structure of society, where the father had command over his children; most scholars, however, just interpret it to mean that Matthew intended these two to be seen as even more devoted than the other pair. The Synoptic Gospels go on to describe that much later, after Jesus had later begun his ministry, he noticed, while teaching, a tax collector in his booth. The tax collector, called Matthew in Matthew 9:9, Levi in Mark 2:14 and Luke 5:27, is asked by Jesus to become one of his disciples. Matthew/Levi is stated to have accepted and then invited Jesus for a meal with his friends. Tax collectors were seen as villains in Jewish society, and the Pharisees are described as asking Jesus why he is having a meal with such disreputable people. The reply Jesus gives to this is now well known: "it is not the healthy who need a doctor, but the sick. I have not come to call the righteous, but sinners". So, between the ascension of Christ and the day of Pentecost, the remaining apostles elected a twelfth apostle by casting lots, a traditional Israelite way to determine the will of God (see Proverbs 16:33). The lot fell upon Matthias. As the Catholic Encyclopedia states, "It is at once evident that in a Christian sense, everyone who had received a mission from God, or Christ, to man could be called 'Apostle'"; thus extending the original sense beyond the twelve. Since Paul claimed to have received the gospel through a revelation of Jesus Christ after the latter's death and resurrection (rather than before like the twelve), he was often obliged to defend his apostolic authority (1 Cor. 9:1 "Am I not an apostle?") and proclaim that he had seen and was anointed by Jesus while on the road to Damascus. Paul, despite his divine calling as an apostle, considered himself perhaps inferior to the other apostles because he had originally persecuted Christ's followers. [1 Cor. 15:9] In addition, despite the Little Commission of Matthew 10, the twelve did not limit their mission to solely Jews as Cornelius the Centurion is widely considered the first Gentile convert and he was converted by Peter, and the Great Commission of the Resurrected Jesus is specifically to "all nations". Of the twelve Apostles to hold the title after Matthias' selection, Christian tradition has generally passed down that all but one were martyred, with John surviving into old age. Only the death of James, son of Zebedee is described in the New Testament. Matthew 27:5 says that Judas Iscariot threw the silver he received for betraying Jesus down in the Temple, then went and hanged himself. Acts 1:18 says that he purchased a field, then "falling headlong he burst open in the middle and all his bowels gushed out". According to the 18th-century historian Edward Gibbon, early Christians (second half of the second century and first half of the third century) believed that only Peter, Paul, and James, son of Zebedee, were martyred. The remainder or even all of the claims of martyred apostles do not rely upon historical or biblical evidence. 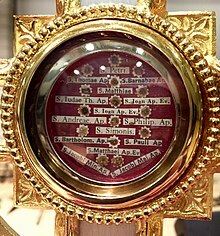 Relics of the Apostles. Photo taken while they were in Utah USA 2017 during the Relic Tour. The relics of the Apostles are claimed by various Churches, many in Italy. Matthias: buried in the Saint Matthias Benedictine Abbey in Trier, Rhineland-Palatinate, Germany. Each of the four listings of apostles in the New Testament (Mark 3:13–19, Matthew 10:1–4, Luke 6:12–16, and Acts 1:13) indicate that all the apostles were men. The canonical gospels and the book of Acts give varying names of the twelve apostles. The list in the Gospel of Luke differs from Matthew and Mark at two points. It lists "Judas the son of James" instead of "Thaddeus". (For more information, see Jude the Apostle.) Unlike the Synoptic Gospels, the Gospel of John does not offer a formal list of apostles. Although it refers to "the Twelve" (John 6:67–71), the gospel does not present any elaboration of who these twelve actually were, and the author of the Gospel of John does not mention them all by name. There is also no separation of the terms "apostles" and "disciples" in John. That Andronicus and Junia were "of note among the apostles," that is, distinguished apostles. That Andronicus and Junia were "well known among the apostles" meaning "well known to the apostles"
If the first view is correct then Paul may be referring to a female apostle - the Greek name (Iounian) is in the accusative and could be either Junia (a woman) or Junias (a man). Later manuscripts add accents to make it unambiguously Junias, however while "Junia" was a common name, "Junias" was not, and both options are favoured by different Bible translations. In the second view, it is believed that Paul is simply making mention of the outstanding character of these two people which was acknowledged by the apostles. Historically it has been virtually impossible to tell which of the two views were correct. The second view, in recent years, has been defended from a scholarly perspective by Daniel Wallace and Michael Burer. Silas 1 Thes. 1:1, 2:6 Referred to as one along with Timothy and Paul, he also performs the functioning of an apostle as Paul's companion in Paul's second missionary journey in Acts 15:40ff. Timothy 1 Thes. 1:1, 2:6 Timothy is referred to as an apostle along with Silas and Paul. However, in 2 Cor. 1:1 he is only called a "brother" when Paul refers to himself as "an apostle of Christ". Timothy performs many of the functions of an apostle in the commissioning of Paul in 1st and 2nd Timothy, though in those epistles Paul refers to him as his "son" in the faith. In Luke (10:38–42), Mary, sister of Lazarus, is contrasted with her sister Martha, who was "cumbered about many things" while Jesus was their guest, while Mary had chosen "the better part," that of listening to the master's discourse. John names her as the "one who had anointed the Lord with perfumed oil and dried his feet with her hair" (11:2). In Luke, an unidentified "sinner" in the house of a Pharisee anoints Jesus' feet. In Medieval Catholic folklore, Mary, the sister of Lazarus, was seen as the same as Mary Magdalene. Luke refers to a number of people accompanying Jesus and the twelve. From among them he names three women: "Mary, called Magdalene, ... and Joanna the wife of Herod's steward Chuza, and Susanna, and many others, who provided for them out of their resources" (Luke 8:2-3). Mary Magdalene and Joanna are among the women who went to prepare Jesus' body in Luke's account of the resurrection, and who later told the apostles and other disciples about the empty tomb and words of the "two men in dazzling clothes". Mary Magdalene is the most well-known of the disciples outside of the Twelve. More is written in the gospels about her than the other female followers. There is also a large body of lore and literature covering her. Other gospel writers differ as to which women witness the crucifixion and witness to the resurrection. Mark includes Mary, the mother of James and Salome (not to be confused with Salomé the daughter of Herodias) at the crucifixion and Salome at the tomb. John includes Mary the wife of Clopas at the crucifixion. 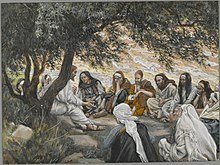 The "seventy disciples" or "seventy-two disciples" (known in the Eastern Christian traditions as the "Seventy Apostles") were early emissaries of Jesus mentioned in the Gospel of Luke 10:1–24. According to Luke, the only gospel in which they appear, Jesus appointed them and sent them out in pairs on a specific mission which is detailed in the text. In Western Christianity, they are usually referred to as disciples, whereas in Eastern Christianity they are usually referred to as Apostles. Using the original Greek words, both titles are descriptive, as an apostle is one sent on a mission (the Greek uses the verb form: apesteilen) whereas a disciple is a student, but the two traditions differ on the scope of the words apostle and disciple. The Gospel of Mark was written anonymously. Early Christian tradition, first attested by Papias of Hierapolis, ascribes it to John Mark, a companion and interpreter of the apostle Peter. Hence its author is often called Mark, even though most modern scholars are doubtful of the Markan tradition and instead regard the author as unknown. It was probably written c. AD 66–70, during Nero's persecution of the Christians in Rome or the Jewish revolt, as suggested by internal references to war in Judea and to persecution. The author used a variety of pre-existing sources, such as conflict stories (Mark 2:1–3:6), apocalyptic discourse (4:1–35), and collections of sayings (although not the Gospel of Thomas and probably not the Q source). According to Church tradition, Luke the Evangelist, the companion of Paul, is believed to have authored the Gospel of Luke, though anonymously written and lacking an author's name; but while this view is still occasionally put forward the scholarly consensus emphasises the many contradictions between Acts and the authentic Pauline letters. The most probable date for its composition is around 80–110 AD, and there is evidence that it was still being revised well into the 2nd century. ^ Eusebius, "History of the Church" 3.39.14–17, c. 325 CE, Greek text 16: "ταῦτα μὲν οὖν ἱστόρηται τῷ Παπίᾳ περὶ τοῦ Μάρκου· περὶ δὲ τοῦ Ματθαῖου ταῦτ’ εἴρηται· Ματθαῖος μὲν οὖν Ἑβραΐδι διαλέκτῳ τὰ λόγια συνετάξατο, ἡρμήνευσεν δ’ αὐτὰ ὡς ἧν δυνατὸς ἕκαστος. Various English translations published, standard reference translation by Philip Schaff at CCEL: "[C]oncerning Matthew he [Papias] writes as follows: 'So then(963) Matthew wrote the oracles in the Hebrew language, and every one interpreted them as he was able. '(964)" Online version includes footnotes 963 and 964 by Schaff. Irenaeus (died c. 202 CE) makes a similar comment, possibly also drawing on Papias, in his Against Heresies, Book III, Chapter 1: "Matthew also issued a written Gospel among the Hebrews in their own dialect". See Bingham, Dwight Jeffrey (1998). Irenaeus' Use of Matthew's Gospel in Adversus Haereses. Traditio exegetica Graeca. 7. Louvain, Belgium: Peeters Publishers. pp. 64ff. ISBN 9789068319644. ^ Harris 2006, p. 479: "Most scholars believe that the same person wrote all three documents but that he is not to be identified with either the apostle John or the author of the Gospel." ^ a b c "Catholic Encyclopedia: Apostles". ^ As was not uncommon for Jews at the time, some of them had two names, one Hebrew/Aramaic and the other Greek. Hence the lists of Jesus' twelve apostles contains 14 names not 12; the 4 Greek names are Andrew, Philip, Thaddaeus and Lebbaeus. Reference: John P. Meier's A Marginal Jew. ^ Cf. also Acts 15:1–31, Galatians 2:7–9, Acts 1:4–8, and Acts 10:1–11:18. ^ "Who were the 12 disciples?". Retrieved 2017-09-19. ^ "Who were the 12 disciples?". ^ Gibbon, Edward (1826). "Chapter XVI. The Conduct of the Roman Government toward the Christians, from the Reign of Nero to that of Constantine". The history of the decline and fall of the Roman empire. II. New York: J. & J. Harper for Collins & Hanney. p. 20. 27. In the time of Tertullian and Clemens of Alexandria the glory of martyrdom was confined to St. Peter, St. Paul and St. James. It was gradually bestowed on the rest of the apostles by the more recent Greeks, who prudently selected for the theatre of their preaching and sufferings some remote country beyond the limits of the Roman empire. See Mosheim, p. 81. and Tillemont, Memoires Ecclesiastiques, tom. i. part 3. 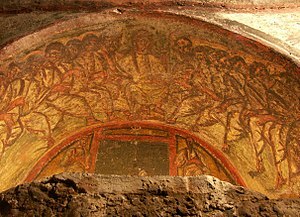 ^ Were the Disciples Martyred for Believing the Resurrection? A Blast From the Past, ehrmanblog.org (behind paywall). ^ Wills, Garry (10 March 2015). The Future of the Catholic Church with Pope Francis. Penguin Publishing Group. p. 49. ISBN 978-0-698-15765-1. (Candida Moss marshals the historical evidence to prove that "we simply don't know how any of the apostles died, much less whether they were martyred. ")6 Citing Moss, Candida (5 March 2013). The Myth of Persecution: How Early Christians Invented a Story of Martyrdom. HarperCollins. p. 136. ISBN 978-0-06-210454-0. ^ Bruce M. Metzger. A Textual Commentary on the Greek New Testament, Revised edition, Peabody, Massachusetts: Hendrickson Publishers, 2005 ISBN 978-1598561647, p. 21. ^ May, Herbert G. and Bruce M. Metzger. The New Oxford Annotated Bible with the Apocrypha. 1977. ^ Crossan, J. D. and Reed, J. L., In Search of Paul, Harper San Francisco (2004), pp. 115–116. ISBN 978-0-06-051457-0. ^ a b Ehrman, Bart. Peter, Paul, and Mary Magdalene: The Followers of Jesus in History and Legend. Oxford University Press, US. 2006. ISBN 978-0-19-530013-0. ^ See Daniel B. Wallace and Michael H. Burer, "Was Junia Really an Apostle?" NTS 47 (2001): 76–91. ^ Catholic Encyclopedia: Disciple: "The disciples, in this disciples, in this context, are not the crowds of believers who flocked around Christ, but a smaller body of His followers. They are commonly identified with the seventy-two (seventy, according to the received Greek text, although several Greek manuscripts mention seventy-two, as does the Vulgate) referred to (Luke 10:1) as having been chosen by Jesus. The names of these disciples are given in several lists (Chronicon Paschale, and Pseudo-Dorotheus in Migne, P.G., XCII, 521-524; 543-545; 1061–1065); but these lists are unfortunately worthless." ^ "Synaxis of the Seventy Apostles". oca.org. ^ Harrington 1991, p. 8. ^ Nolland 2005, p. 16. ^ Turner 2008, pp. 15–16. ^ Burkett 2002, p. 215. ^ Lindars 1990, p. 63. ^ Sanders 1995, pp. 63–64. ^ Burkett 2002, pp. 155–56. ^ Reddish 2011, p. 36. ^ Perkins 1998, p. 241. ^ Boring 2006, pp. 13–14. ^ Theissen & Merz 1998, p. 32. ^ Ehrman 2005, pp. 172, 235. ^ Perkins 2009, pp. 250–53. Boring, M. Eugene (2006). Mark: A Commentary. Presbyterian Publishing Corp. ISBN 978-0-664-22107-2. Burkett, Delbert (2002). An introduction to the New Testament and the origins of Christianity. Cambridge University Press. ISBN 978-0-521-00720-7. Harrington, Daniel J. (1991). The Gospel of Matthew. Liturgical Press. ISBN 9780814658031. Ehrman, Bart D. (2005). Lost Christianities: The Battles for Scripture and the Faiths We Never Knew. Oxford University Press. Harris, Stephen L. (2006). Understanding the Bible (7th ed.). McGraw-Hill. ISBN 978-0-07-296548-3. Nolland, John (2005). The Gospel of Matthew: A Commentary on the Greek Text. Eerdmans. Perkins, Pheme (1998). "The Synoptic Gospels and the Acts of the Apostles: Telling the Christian Story". In Barton, John (ed.). The Cambridge companion to biblical interpretation. Westminster John Knox Press. ISBN 978-0-521-48593-7. Perkins, Pheme (2009). Introduction to the Synoptic Gospels. Eerdmans. ISBN 978-0-8028-6553-3. Reddish, Mitchell (2011). An Introduction to The Gospels. Abingdon Press. ISBN 9781426750083. Sanders, E.P. (1995). The Historical Figure of Jesus. Penguin UK. ISBN 9780141928227. Theissen, Gerd; Merz, Annette (1998) . The historical Jesus: a comprehensive guide. Translated by Bowden, John. Eerdmans. The Navarre Bible. (RSV, Catholic Edition), Dublin: Four Courts Press, 1999. Albright, W.F. and C.S. Mann. "Matthew." The Anchor Bible Series. New York: Doubleday & Company, 1971. Pope Benedict XVI, The Apostles. Full title is The Origins of the Church – The Apostles and Their Co-Workers. published 2007, in the US: ISBN 978-1-59276-405-1; different edition published in the UK under the title: Christ and His Church – Seeing the face of Jesus in the Church of the Apostles, ISBN 978-1-86082-441-8. Carson, D.A. "The Limits of Functional Equivalence in Bible Translation – and other Limits Too." in The Challenge of Bible Translation: Communicating God's Word to the World. edited by Glen G Scorgie, Mark L. Strauss, Steven M. Voth. Carter, Warren. "Matthew 4:18–22 and Matthean Discipleship: An Audience-Oriented Perspective." Catholic Bible Quarterly. Vol. 59. No. 1. 1997. Clarke, Howard W. The Gospel of Matthew and its Readers: A Historical Introduction to the First Gospel. Bloomington: Indiana University Press, 2003. "Fishers of Men." A Dictionary of Biblical Tradition in English Literature. David Lyle Jeffrey, general editor. Grand Rapids: W.B. Eerdmans, 1992. France, R.T. The Gospel According to Matthew: an Introduction and Commentary. Leicester: Inter-Varsity, 1985. Mack, Burton L., The Lost Gospel – The Book of Q & Christian Origins. HarperCollins 1994. Schweizer, Eduard. The Good News According to Matthew. Atlanta: John Knox Press, 1975. Wuellner, Wilhelm H. The Meaning of "Fishers of Men". Westminster Press, 1967. Wikimedia Commons has media related to Apostles. "Apostle" . Encyclopedia Americana. 1920. "Apostle" . Encyclopædia Britannica. 2 (11th ed.). 1911. pp. 196–199. "Apostles" . The New Student's Reference Work . 1914. Coppieters, Honoré-Joseph (1913). "Apostles" . Catholic Encyclopedia. "Apostle" . New International Encyclopedia. 1905. "Apostle" . Easton's Bible Dictionary. 1897. The Twelve Apostles The Biographies of The Twelve Apostles of Jesus Christ, the son of God. Quorum of the Twelve Apostles of The Church of Jesus Christ of Latter-day Saints.